"These Handsome Boy Modeling School graduates are no strangers in the world of independent hip hop. 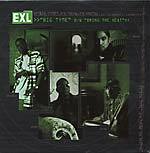 They've been fortunate to have had a string of successful singles and have been blessed with some great opportunities from Dan the Automator and Prince Paul. The first single for 75 Ark, entitled "Sporadic", is melodically reminiscent of DJ Shadow and the Runaways. 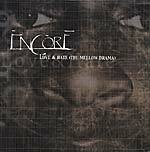 Lyrically, Encore are on a whole new level of mysticism and urban reality."